Display your name, and the name as reflected in the voter registration record. Display an expiration date and either be current or have expired after last election. Be issued by the state of Indiana or the US government. 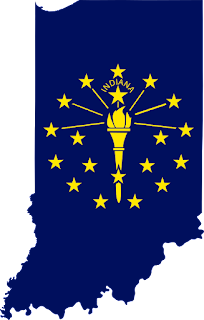 An indiana driver's license, Indiana photo ID card, Military ID or US Passport suffice. A student ID from an Indiana State school may only be used if it meets the four criteria above.